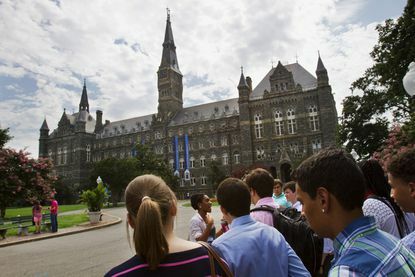 On Thursday, almost 66% of Georgetown students voted to raise tuition at the renowned university by $27.20 a semester. News outlets report undergraduate students will vote Thursday on a "Reconciliation Contribution" in the form of a $27.20-per-semester fee. Those students say the $27.20 fee would generate over $400,000 a year and would "be allocated for charitable purposes directly benefiting the descendants of the GU272 and other persons once enslaved by the Maryland Jesuits". The measure passed by a vote of 2,541-1,304 late Thursday. "Our students are contributing to an important national conversation and we share their commitment to addressing Georgetown's history with slavery", Vice President for Student Affairs Todd Olson said in a statement Friday.